Subscription prices start from £13.99 – Click here to subscribe or order a single issue today. 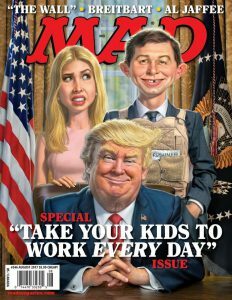 Mad is an American, bi-monthly magazine founded in 1952 by Editor Harvey Kurtzman and publisher William Gaines; it was initially printed as a comic then switched to a magazine from issue 24. Mad was an instant success for EC Comics from its debut in October 1952 and is the last title from the EC Comics line. 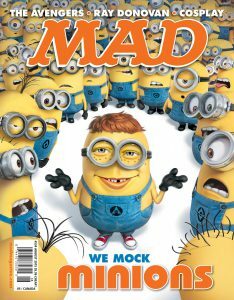 Mad is America’s longest running humour magazine and offers comedy on all aspects of life and popular culture including politics, entertainment, and public figures. 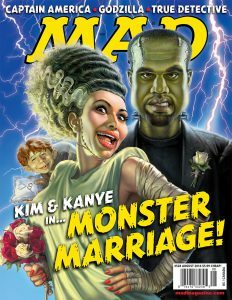 Mad showcases full length spoofs of all your favourite classics, plus new surprises. In January 2017, 544 regular issues had been released over the years alongside 100s of specials, original material paperbacks, and other print projects. Read especially by teenagers, and is best known for its parodies of current and recent events, TV and films, famous people, and more. 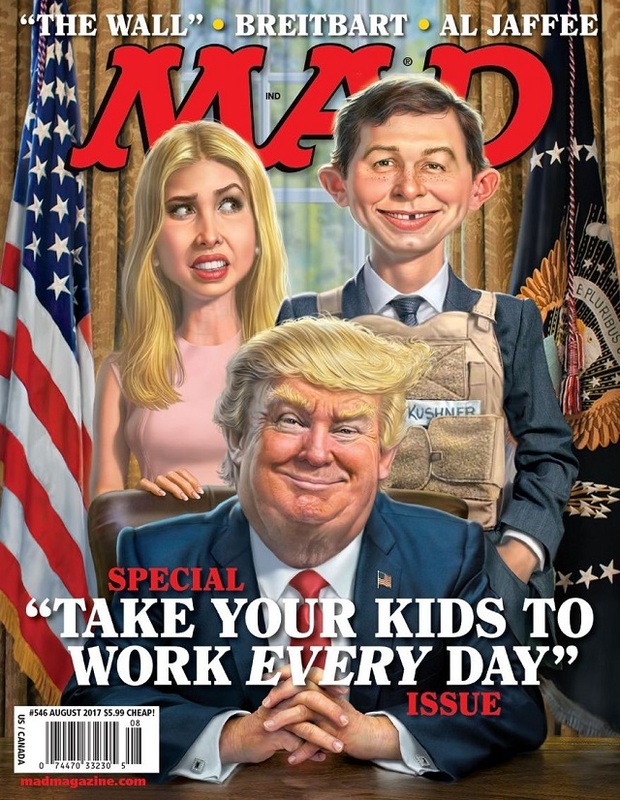 The magazine’s focal point is cover boy, Alfred E Neuman. 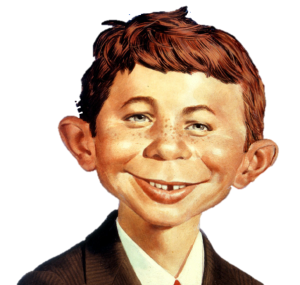 Harvey Kurtzman, the editor, noticed the image of a boy with a goofy, gap-toothed grin on a postcard pinned to the office bulletin board with a rhetorical question ‘What, Me Worry?’, it appeared in everything from dentistry ads and representations of diseases. 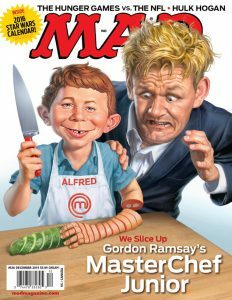 From then he recollected the image and a mascot was created, Neuman’s first debut was, in November 1954, on the cover of Ballantine’s The Mad Reader, his first appearance on Mad was in March 1995 on the cover, issue 21, of the magazine. From then onwards Neuman has featured on the cover in almost every issue continuing to present day. A statue of mascot, Neuman, can be found at the Dort Mall in Flint, Michigan. Click here to subscribe or purchase a single issue today! Previous Previous post: Let’s dive in to Paw Patrol Magazine! Next Next post: Draw, make and play…the CBeebies way!